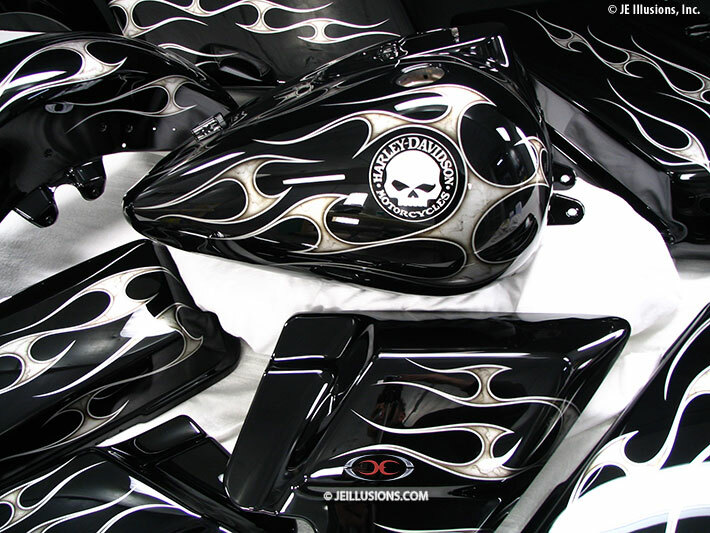 This custom paint set is a prime example of what can be achieved though the execution of bold simplicity. 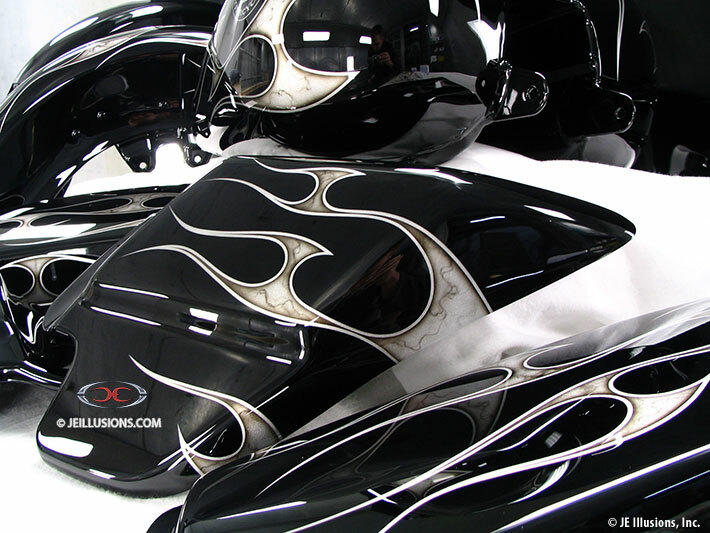 A jet black base provides the background for the blade graphics, which are treated with a light marbling effect and heavily shadowed to add depth. 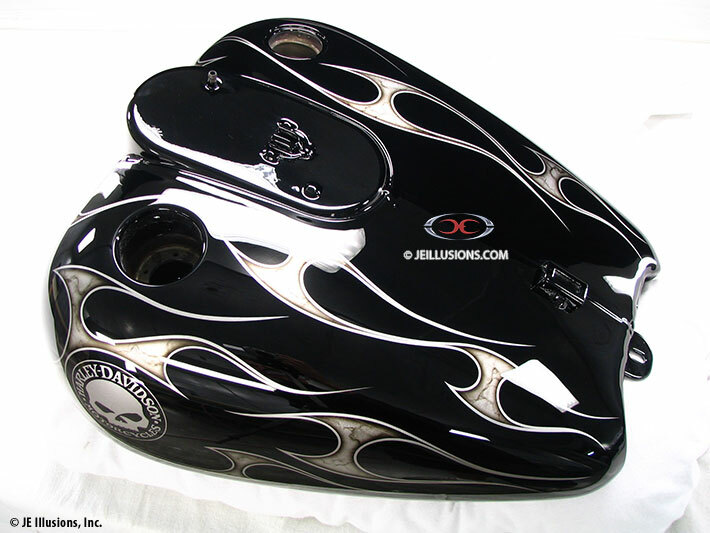 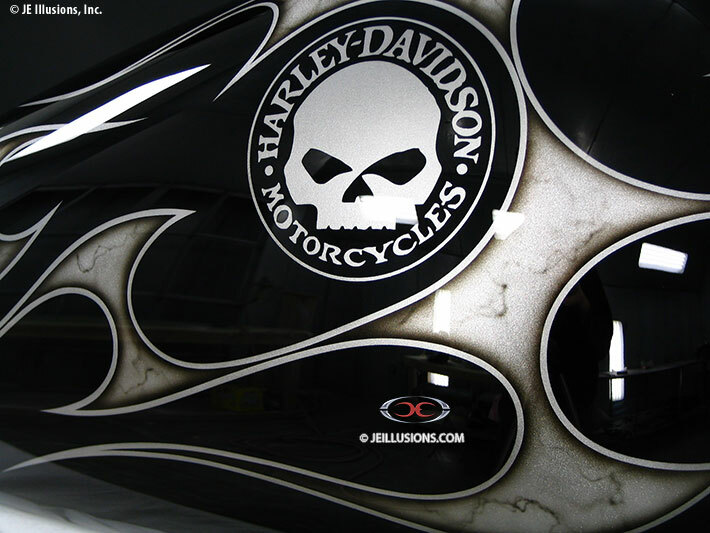 The layout is anchored around the circular Harley-Davidson skull logo.